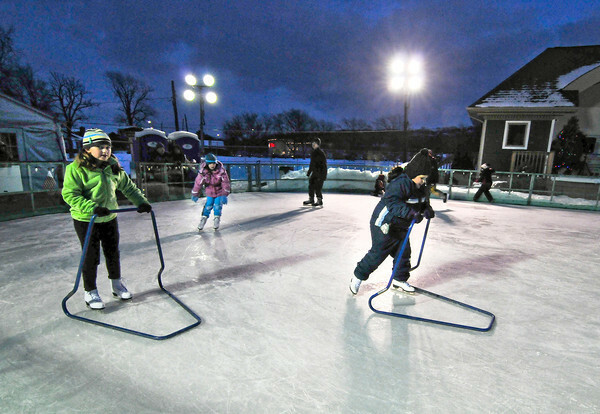 James Neiss/staff photographerLewiston, NY - Best friends Ava Caputo, left, and Amelia Olander, both 8 of Niagara Falls, had some help learning to ice skate by using training bars at the Town of Lewiston Ice Rink at Academy Park. The hours are M - Th 4 p.m. - 8 p.m., Fri. 4 p.m. - 10 p.m., Sat. 12 p.m. -10 p.m. and Sun. 12 p.m. - 8 p.m. through January 27.